Chinese Government Tightens Internet Control - kaycee Weezy! Beijing has tightened its control over the Internet under new laws approved by the legislature. The move, ostensibly aimed at data protection, means users will no longer be able to post anonymous online complaints. Regulations adopted by the Communist Party's Standing Committee on Friday mean Internet users will have to register their real names online. The rules also give the government power to delete posts that it deems illegal. According to the official Xinhua news agency, the legislation was approved to "enhance the protection of personal information online and safeguard public interests." It is the first time the Chinese government has put such measures as deleting posts into law, although censorship is understood to be commonplace. According to the new rules: "Service providers are required to instantly stop the transmission of illegal information once it is spotted and take relevant measures, including removing the information and saving records, before reporting to supervisory authorities." The move has prompted criticism from those who fear it might discourage the online exposure of corruption after a series of scandals by party officials. The news agency Reuters reported the head of parliament's legislative affairs committee, Li Fei, as saying the new rules meant people had nothing to fear from reporting corruption using the Internet. However, he warned: "When people exercise their rights, including the right to use the Internet, they must do so in accordance with the law and constitution, and not harm the legal rights of the state, society ... or other citizens." 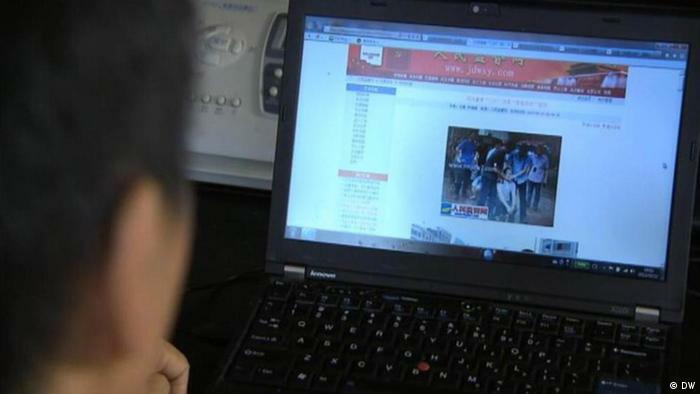 Dozens of human rights activists are understood to have been jailed for posting online content deemed illegal. As well as monitoring Internet use, Beijing restricts access to and popular foreign sites such as Facebook, Twitter and YouTube.